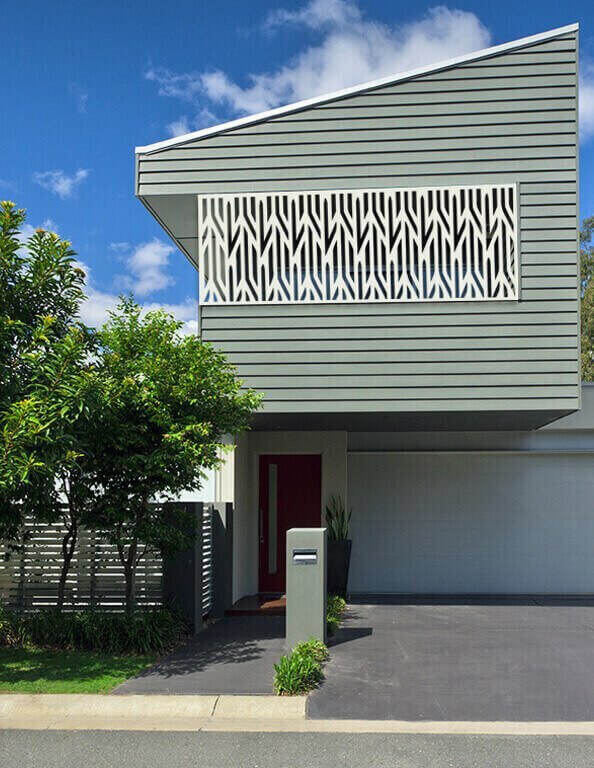 Beautiful aluminium decorative screens, fencing and gates. 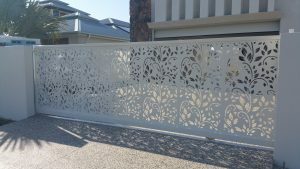 We specialise in beautiful, custom made decorative screens for privacy, gardens, patios and wall art. We also supply high quality aluminium slatted and louvre panel fencing, single and double gates and electric sliding gates. Our superior materials and meticulous workmanship guarantees our products for up to 7 years. 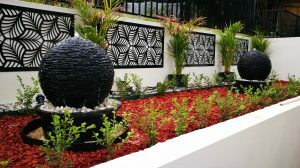 At Elysium Deco Screens & Fencing we create customised designs to suit every style, space and budget. Add value to your property, call us today. 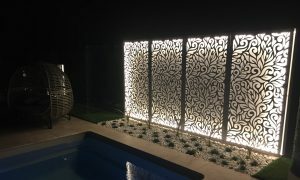 Elysium Deco Screens & Fencing is proudly an Australian manufacturer. All of our products are designed and made right here on the Sunshine Coast, Queensland. Keeping everything local ensures that we can maintain our strict standards of producing screens and supplying gates and fencing of the highest quality while maintaining affordability and modern design. Our decorative screens create privacy while still allowing the breeze to flow. Ask us how we can help with your screening or fencing needs today. Find out what makes us stand out over our competitors. 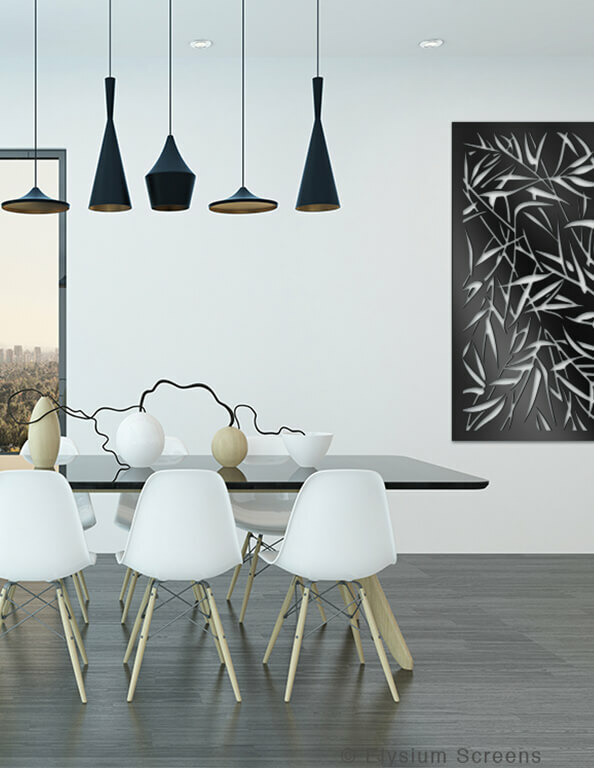 Our decorative screens are available in aluminium and aluminium composite panel. We have an extensive range of colours and finishes available including vibrant gloss, timeless neutrals and stunning metal finishes such as metallic, brush, mirror and embossed. All of our deco screens are suitable for indoor and outdoor use unless otherwise stated in our colour section. To learn more about our screens please visit the following pages; Screens, Designs, Colours, Installation, FAQ’s. We also offer a custom design service where you can customise the entire screen from the design to the size and the colour. Please refer to our Custom Design page for more information or contact us with any enquires. 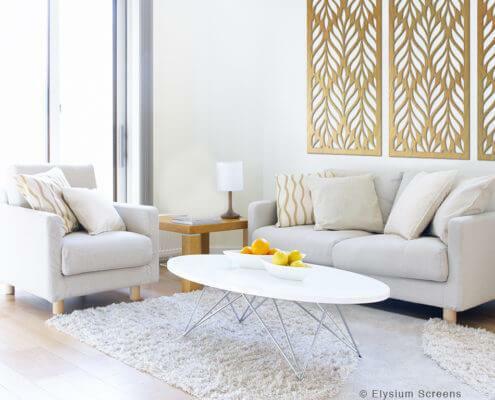 My wife and I are extremely happy with the complete service that Elysium Screens provides; patient assistance of pattern selection, quote, follow up calls, check measure, install. We both enjoy the aesthetic beauty, increased privacy and high quality of your screens. All your staff were efficient and professional. I also thought it was nice to receive followup phone calls, texts or emails to keep us updated on the progress of the manufacture, delivery and installation of our screens. Well done! We received the screens today, They look amazing! Can’t wait to put them up. The screens are gorgeous!, they make our patio so much more attractive and so private. We couldn’t be happier, thanks so much. I just had to tell you how much I love the screens. I never thought I’d have my artwork hanging in my garden. I’m just so impressed!!! The screen arrived all safely, it is really lovely, just as I imagined. Thank you for persisting with working out what I wanted. The fence is absolutely fantastic, the neighbours are very impressed. We are really happy with such professional service, thank you. The screens arrived today and they look fantastic!! Thanks so much it’s been a pleasure dealing with you.